Now that you have your water, food, and shelter needs covered, let’s talk about keeping them protected. Believe it or not, there are bad people out there who want what you have and unless you take time to consider your security issues, they just may take it from you when you need it most. In this article we will talk about 3 different security considerations for your home: preventative, non-lethal, and lethal. Preventative measures are the easiest and safest course of action that a person can take in order to keep themselves and their family safe. According to the latest statistics, 2,500,000 (yep, that’s 2 and a half MILLION) home invasions happen each year in the United States. That’s one home invasion every 13 seconds. Scary thought. However, it’s also reported that 30% of these are done through an open door or unlocked window. This means that by locking your doors and windows on a consistent basis, and training your children to do the same, you will deter your chance of a home invasion by 30%! Unfortunately, sometimes the bad guys attempt to force their way in to homes, even if the doors and windows are locked. To combat this, and to keep your family safe, we have created a list of preventative measures that you can take to lessen the odds of dealing with a home invasion. These measures are simple and won’t break the wallet either. You don’t necessarily have to every one of them. Just focus on 1) what will keep your family safe, and 2) what you can afford. Install a peep-hole, preferably a wide-angle one. Windows have a latch, not a lock. 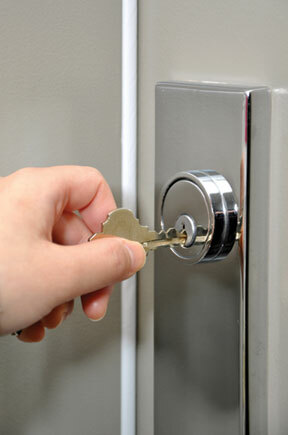 Buy locks for all of your ground level windows. Intruders can easily see in your windows at night when it’s difficult for you to see out. Close your blinds, shades, and other window coverings at night. Ensure your exiting exterior light bulbs are not burned out! Sadly, this is the case for many homes. Ensure exterior lighting is appropriate: Bright enough to illuminate the intended area. Not so bright and directional that it creates pools of darkness for intruders to hide in. Don’t leave items of value lying around your yard or property. This only invites burglaries and invasions. Don’t hide keys outside your house under flower pots, above door ledges, etc. Intruders are clever. They will find it and have a free pass to your house at any time of their choosing. Instead, give a trusted neighbor or relative your spare key. Plant thorny bushes underneath ground level windows to prevent bad guys from even getting close to your windows. Create or join a local Neighborhood Crime Watch. Studies have found that these programs effectively reduce crime and violence in neighborhoods. And don’t forget to post a sign in your neighborhood. This is also a deterrent. In many cases, the best option for you and your family may be to flee the area if/when you or your home are threatened. Non-lethal measures are the next step in the escalation of force when it comes to a “threat situation”. Non-lethal measures are just that, a non-leathal approach of eliminating a threat from causing death, harm, or bodily injury to you or your family. As with any form of force, it is your duty to make sure your actions are appropriate to that of the threat. Too little and you may end up dead. Too much, and you may have to come before a judge and jury. Legally, it is important to remember that your goal is to eliminate the threat, NOT eliminate the person who is causing the threat. One attractive aspect of using a non-lethal form of defense is that those who retain a moral/political objection to firearms, or those not yet trained to use them, still have an option to effectively protect themselves. And they can do so while showing their attacker that despite their non-lethal means, they are NOT and easy target. Although the following is far from an “all-inclusive” list of non-lethal defensive weapons, it is a good place to start if you are someone who has never given this much thought. As always, consider which will work best for you and your family before making any security minded purchases. Liquid irritants as weapons: pepper spray, mace, etc. Electricity based weapons: stun gun, taser, etc. Bladed weapons: pocket/hunting/survival knife, sword/saber/katana, throwing stars, etc. Improvised home use weapons: baseball bat, golf club, tire iron, kitchen knife, etc. Body as a weapon: striking, kicking, scratching, biting, boxing, martial arts, etc. First off, it is important to note that any of the non-lethal measures discussed above can become lethal measures if used improperly or excessively. And when it comes to lethal measures, it must be clearly stated that this measure is only one to be used as A LAST RESORT. Aside from the “non-lethal” measures above that can easily become lethal, the most common form of personal and home protection are firearms. The reason firearms have become so popular for home defense is simple: if used effectively, you can eliminate a threat from a distance without allowing them close enough to harm to you or a loved one. That’s if the sight of your firearm doesn’t scare them off first, because let’s face it: the very sight of a firearm is a HUGE deterrent in itself. Also worth noting: there have been countless accounts of police officers praising private citizens who were able to hold home-intruders at gun point until authorities arrived. The fact that you can own a firearm and detain a criminal without firing a shot should be reason enough to own one. If you do choose to own one, it’s good to view firearms as you would any other tool. In the hands of someone who has proper respect for them and is trained to use them, this tool can be useful, precise, and extremely safe. 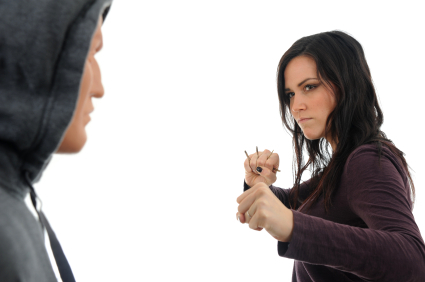 In the hands of someone who has a lack of respect and is untrained, it can be dangerous. So I encourage you, if you own a firearm and think it’s possible that you may have to use it for home or personal protection, or you if you don’t own one because you are uncomfortable with them or don’t know how to handle them, please go out and get the proper training. The NRA offers classes for beginners and experts and both are very easy on the wallet. If you live in Alaska, North Dakota, South Dakota, or Minnesota, The Ready Center provides NRA classes for beginners as well as advanced shooters. Please feel free to contact us to request training classes in your area. If you don’t live in one of the above listed states, please visit the NRA’s website and view their available courses for your area by clicking here. I promise you, you’ll be happy you did. We hope you have enjoyed reading about the 4 Basic Prepping Categories and actively focus on water, food, shelter, and security considerations for you and your loved ones. Thanks for joining us for this series of articles. We’ll do our best to keep them coming your way. DISCLAIMER: The information provided in this article is purely informational and should not be viewed as legal, medical, or professional advice. Investigate your local laws and regulations to see what is appropriate for you and your local/regional area.